In 1991 Mayhem guitarist Euronymous (Øystein Aarseth) opened a record shop called Helvete. The term itself is Norwegian for "Hell" and comes from the Norse "Hels Viti," which means "Hel's Punishment." 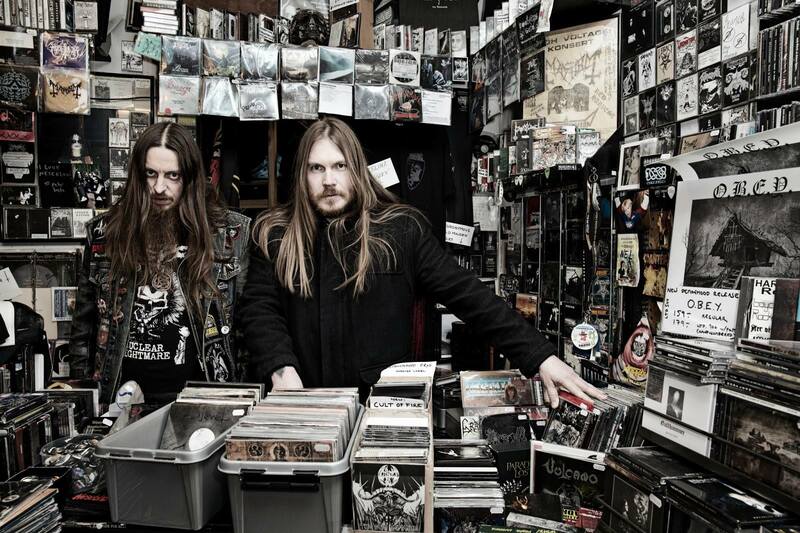 The shop was located in Oslo and helped with the formation of the Norwegian Black Metal Scene. Key figures of the rising black metal movement often met at the shop and in its basement. This included the members of Mayhem, Emperor, Burzum and Thorns. Euronymous, Varg of Burzum and Emperor guitarist Tomas 'Samoth' Haugen even lived in the shop at various times. Emperor's drummer Bård 'Faust' Eithun also lived and worked there.The shop's walls were painted black with the blood red "Helvete" logo on the door. Medieval weapons adorned the walls along with posters of bands, the windows were blackened, the lighting was dim and there was a gloomy ambience enhanced by lit candles. 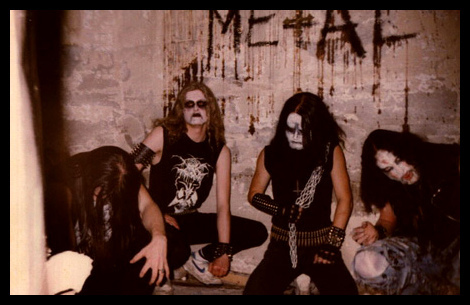 Helvete played a role in the development of the Black Metal scene that emerged in Norway in the early 90's. It was a meeting place for Black Metal Musicians who spread the scene through exchanging tapes and promoting shows. 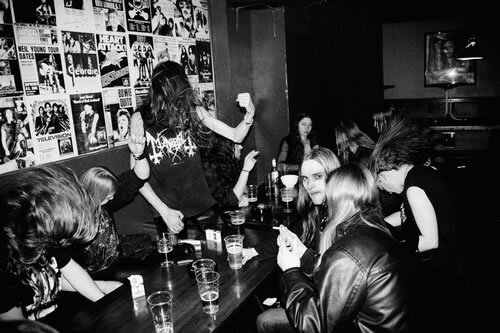 Jon 'Metalion' Kristiansen, writer of the fanzine Slayer, said that the opening of Helvete was "the creation of the whole Norwegian Black Metal scene "
Those who gathered at the shop were referred to as the "Black Circle" or the "Black Metal Inner Circle." Faust stated in the "Until the Light Takes Us" Black Metal Documentary that the name was invented by Euronymous himself. In the "Lords of Chaos" book, Faust further elaborated that it was just a name for the people who would hang around the shop, "there wasn't anything like members or membership cards and official meetings." The shop's existence was short lived. It was shut down in 1993, a mere two years after its opening. According to Stian 'Occultus' Johannsen, who was briefly a vocalist and bassist for Mayhem, the space that Euronymous rented "was far too big and the rent was too high. That's the reason why it never did well". Only a small part of the building was used for the shop itself . Euronymous also shut down Helvete because it began to draw too much attention from the police and the media. However, even though the shop didn't last, the Black Metal Scene did. The early work of Burzum, Mayhem, Darkthrone and Emperor would inspire many Black Metal musicians around the globe. Black Metal has even become one of Norway's unique cultural exports. Over 20 years after the shop's closing, it was reopened by new owners, Neseblod Records. They have moved from their old record shop to Helvete. 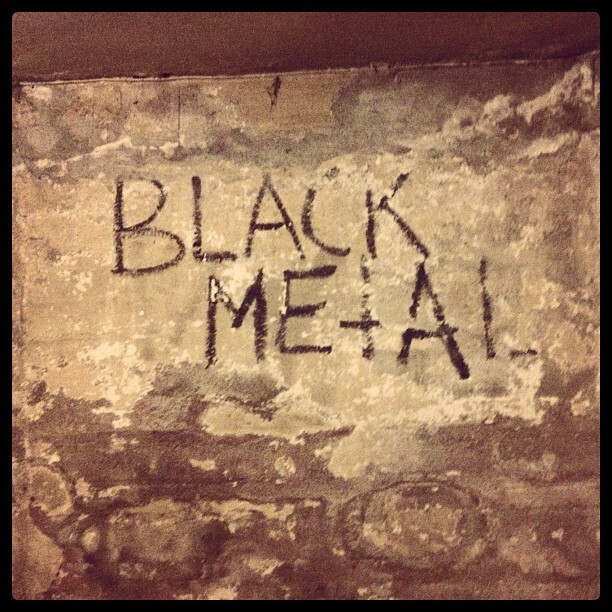 There is now even a Black Metal Museum in the basement of the shop.